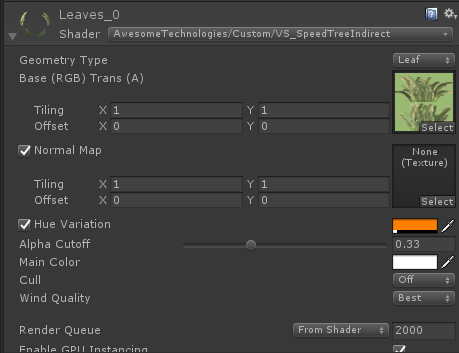 We have made a public GitHub repository with a modified version of the Unity Speedtree shaders. It is under MIT licence. You can find it here. It will allow you to use speedtree grass with Vegetation Studios instanced indirect implementation. To set up download the files from github to your Unity project. Make a prefab of the Speedtree grass and change the shader on all LODs like in the image. Then add the prefab as normal to Vegetation Studio and set the render mode to Instanced Indirect. 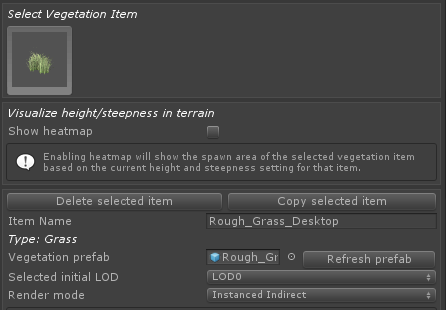 Go to the Render tab of the Vegetation System component and make sure compute shaders and GPU culling is enabled. The Speedtree grass should now work with instanced indirect.